Terms: Payment in full, via check or money order is due 60 days prior to arrival. A deposit of half the rental is due at time of reservation. Cancellation Policy: For all cottage cancellations made 60 days in advance or more, the full amount will be refunded, minus a $100.00 cancellation fee. 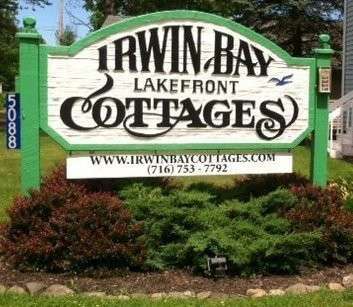 For all cottage cancellations made less than 60 days in advance, the balance will be refunded upon re-rental of the unit, minus a $100.00 cancellation fee and any difference in the rental amount that is generated. For Irwin Blue and Irwin Beige, the cancellation policy is as follows: For all home cancellations made 90 days in advance or more, the full amount will be refunded, minus a $100.00 cancellation fee. For all home cancellations made less than 90 days in advance, the balance will be refunded upon re-rental of the unit, minus a $100.00 cancellation fee and any difference in the rental amount that is generated. Our weeks run from Saturday to Saturday. Check-in time is between 2 PM and 4 PM only. Check-out time is prior to 10:00 AM. Our cottages are “housekeeping cottages” meaning that we supply basic cooking equipment, pots, pots and dishes, utensils and flatware; allowing you to dine on your own schedule. Each cottage has a charcoal grill and picnic table outside as well as a patio table and dinette. You are responsible for leaving the cottage broom clean upon departure. Cleaning supplies are provided. You’ll need to bring your own paper products and linens, including kitchen and bath towels, dish cloths, washcloths, pillows, sheets, and blankets. A more complete list of items to bring is provided at the time your reservation is confirmed.